"Kim and his evil regime are responsible for unimaginable cruelty and inhumanity. 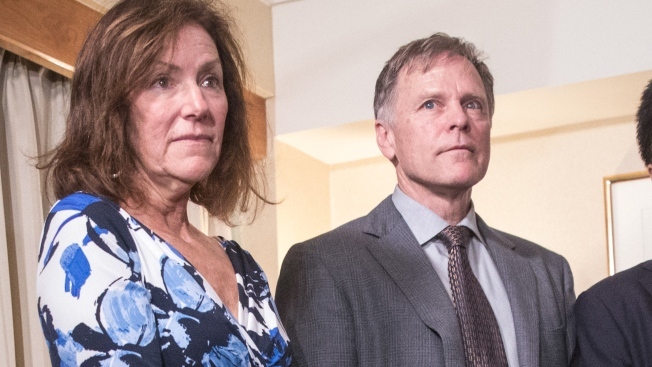 No excuses or lavish praise can change that"
The parents of the late Otto Warmbier, an American college student who was held captive in North Korea and eventually sent home in a vegetative state, spoke out Friday, after Trump's comment this week that he takes Kim Jong Un "at his word" that he was unaware of alleged mistreatment during the young man's 17 months of captivity. Warmbier died at age 22 soon after his return in June 2017. "Kim and his evil regime are responsible for the death of our son Otto. Kim and his evil regime are responsible for unimaginable cruelty and inhumanity," they said. "No excuses or lavish praise can change that." White House counselor Kellyanne Conway said Friday on the Fox News show "America's Newsroom" that Trump has "deep affection" for the Warmbiers, shares their grief and agrees North Korea is responsible. But, she said, Trump is saying "there's no indication Chairman Kim knew what happened to Otto Warmbier when it happened." Democratic Sen. Chuck Schumer, of New York, said in a tweet that Trump owes the Warmbiers an apology for "simply deciding to take a cruel and brutal dictator at his word." Trump did not apologize to the Warmbiers, though he responded to the criticism by tweet later Friday. 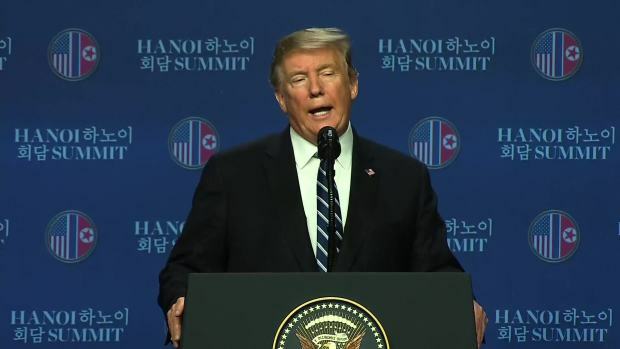 Claiming he had been misinterpreted, the president attempted to clarify that he "of course" holds "North Korea responsible for Otto's mistreatment and death." This does not directly contradict his earlier statements saying he does not think Kim himself had knowledge of the treatment of Warmbier while imprisoned in his country. During a news conference Thursday, Trump was asked if he and Kim had discussed Otto and whether he had asked the North Korean leader to take responsibility for what happened to him. Trump said that "something very bad happened" to Warmbier, but that he didn't believe Kim knew about it or would have allowed it to happen. "He tells me that he didn't know about it, and I will take him at his word," Trump said. Some people who have followed the Warmbiers' ordeal were stunned. "Trump offers Warmbiers a slap in the face," read a headline on a column by Byron McCauley in The Cincinnati Enquirer. Warmbier's parents have accused North Korea of torturing the University of Virginia student, who was detained for allegedly stealing a propaganda poster as he prepared to end a visit to the country with a tour group. Fred Warmbier described to Fox News in 2017 Otto's condition when he returned: making an "involuntary, inhuman sound," ''staring blankly into space, jerking violently," and was blind and deaf, with his head shaved. Doctors in Cincinnati said he had suffered severe brain damage, although they weren't sure what led to it. North Korea denied mistreating him, saying he fell into a coma that resulted from botulism and a sleeping pill. A federal judge in December ordered North Korea to pay more than $500 million in a wrongful death suit filed by Warmbier's parents. U.S. District Judge Beryl Howell harshly condemned North Korea for "barbaric mistreatment" of Warmbier. Republican U.S. Sen. Rob Portman, who like the Warmbiers lives in the Cincinnati area, has kept in contact with them since Otto's detention began. "His treatment at the hands of his captors was unforgivable, and it tells us a lot about the nature of this regime," Portman said Thursday on the Senate floor. "We can't be naive about what they did to Otto, about the brutal nature of the regime that would do this to an American citizen." Another Cincinnati-area Republican, U.S. Rep. Brad Wenstrup, said: "Otto Warmbier's imprisonment and death were heinous crimes at the hands of the brutal Kim Jong Un regime."